Bath Mats & Stencils LP | Hawk Research Laboratories, LLC. 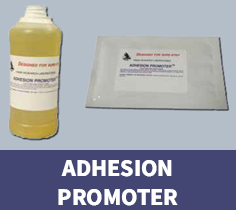 Our patented process fuses the special adhesives to the vinyl, guaranteeing superior lifespans. Anti-mold and mildew agents are added during the manufacturing process for low maintenance. 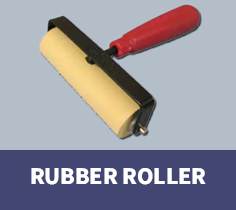 Professional rubberized roller for applying SureStep bathtub mats. Allows for fast, accurate installations. 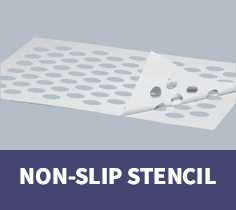 Hawk's Slip Resistance Stencils can be applied on porcelain, ceramic and fiberglass or tubs that don’t require refinishing. They measure 15.375 inches x 24 inches which can be overlapped for larger areas. Use with Hawk’s StandFast™ Traction Additive. 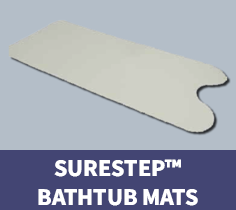 SureStep Adhesion Promoter is designed to help bathmats adhere to various surfaces.